This post contains sponsored links from Holysmokes Productions, because well, we gotta keep the lights on and keep delivering great (free) content to you! We would never recommend anything we don’t believe in. If you use the code below from Holysmokes Productions, we will receive a very small percent of the profit. If you’re engaged or have a life event you want to capture and live in the New England area, we’re talking to you! We’re teaming up with Holysmokes Productions and for a limited time, they’re giving a $100 discount exclusively to Tonight’s Better Together readers. If you are thinking about getting any videography done for your proposal, wedding, birth, or any other memorable life event, mention the code TBT&HSP1 to the talented artists over at Holysmokes. Holysmokes Productions is a talented boutique company that uses documentary filmmaking to tell authentic stories. They capture all the love and feels of your special life event so those memorable moments can be relived over and over again! 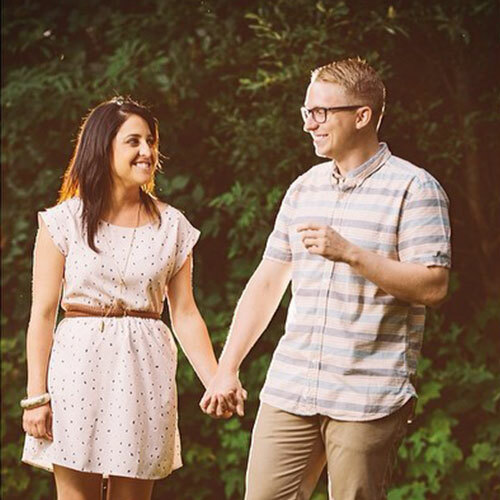 About the Authors // Located in the Pacific North West, married couple Stacey and Eric are passionate about making the most out of their marriage as well as helping you make the most out of yours! Receive creative date ideas, recipes for two and member-only access to our free downloadable dating and marriage resources straight to your inbox.